“CATALYST" is a collaboration of outstanding partners, innovative technologies, inspiring teachers, and engaged students all working together to help educate and inspire girls of Rwanda to reach their highest potential. Join CATALYST, a dedicated group of monthly supporters, partnering with us to transform, inspire, and educate our Gashora Girls. You may also chose to honor family or friends with a gift in their name, to be listed as a Founding Member. As a member, you are helping students to receive college-prep "whole girl" STEM education that will provide them market-relevant academic and career preparation, but also teach the most valued skills in the work place - such as creativity, critical thinking, problem-solving and collaboration. Women could increase the income globally by 76% if the employment and wage gap were closed. This is globally a value of 17 trillion. One of the key solutions to these gender disparities is women's education. 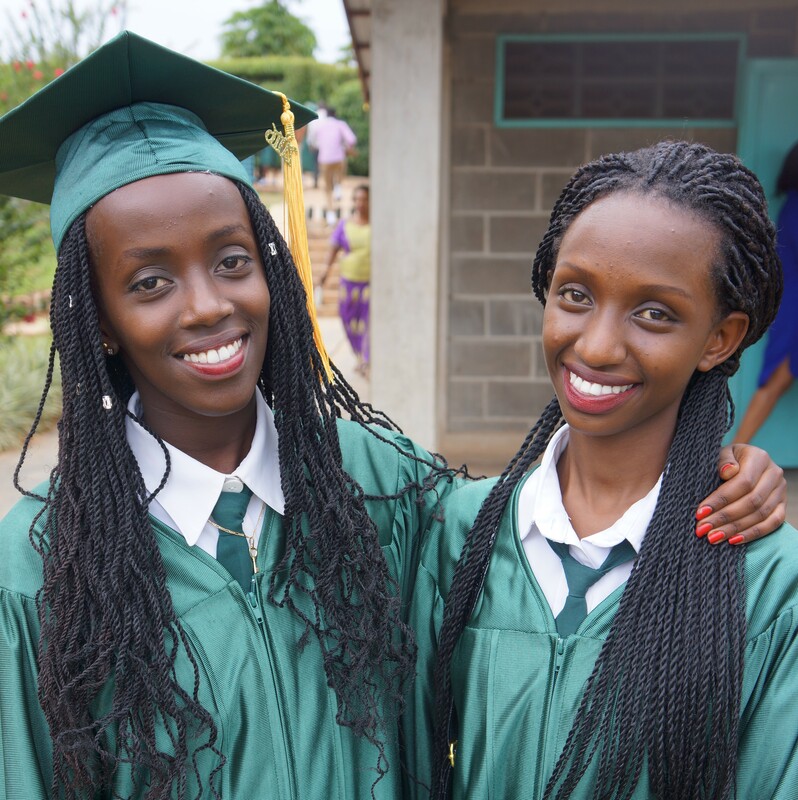 Currently only 1% of the population in Africa and 3% in Rwanda are entering college and increasing college enrollment by 1 year could increase Sub-Saharan African's long-term GDP by 16%. As a member, you are helping our students be prepared for college and to enter the African job market to address the talent gap. Though women make up 52% of the general population they only own 30% of the businesses; yet they manage to contribute 30% of the country's GDP. Your membership supports our student's entrepreneurial successes and pursuits as they strive to become both entrepreneurial and thought leaders of Rwanda. Educating girls is one of the most powerful levers to create long lasting, systemic change. Educated women have a greater chance of escaping poverty, leading healthier and more productive lives and raising the standards of living for their children, families and communities.